When I’ve had a bit of a naughty indulgent weekend as I did over Halloween, I like to wake up on the Monday, jump back on my horse and start sprucing something nutritious in the kitchen that my body will thank me for. Yesterday was all about some fresh kale I bought (600g) of it and what better way to shrink some of it down in to a soup. I would have cooked all of it, but my soup maker has a limit; I’m not complaining though as it saved me from having to pot-watch and is less washing up on a busy day! It’s a really simple and tasty soup which has potential to carry other flavours; chilli, basil or parmesan instantly come to mind, but being extremely short of time, I kept it simple and just needed the fuel. That won’t be said with today’s leftovers though now I have a few minutes to spare. 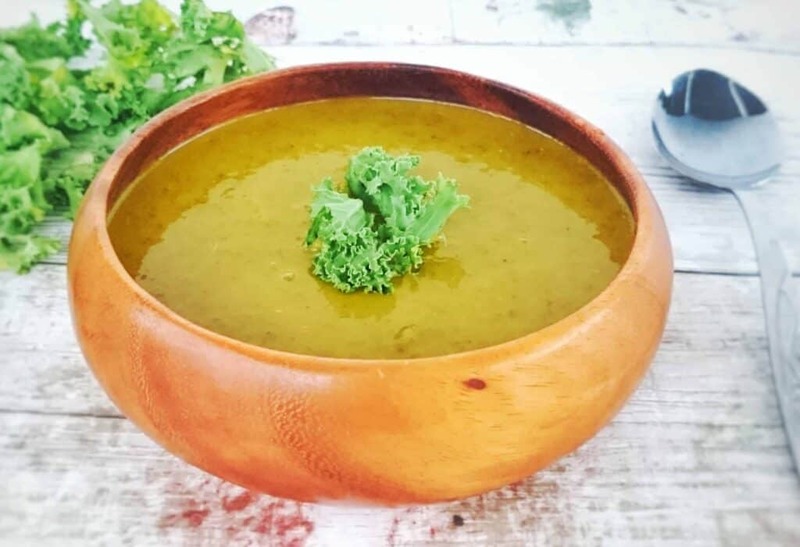 So in all its pure green vibrancy, I hope you enjoy it and don’t forget if you love soups, I have so many more soup recipes here on my blog for the Morphy Richards Soup Maker and a SW soup Facebook support group you are more than welcome to join! Start with placing the kale in the soup maker, along with the water and press blend to shrink the kale down as much as possible (carefully tilt away if you have to). *If using a pan and a blender, then just chuck everything in the pan, simmer for 25 minutes and blend at the end. Now place the rest of the ingredients in the soup maker, set to smooth. Why not be a little more adventurous and try adding a pinch of chilli? Once cooked, you could stir in a tablespoon of basil or just season to taste like I did and serve. So that is it – easy peasy! And if you want to see some of my recipes in action, then why not go and subscribe to my YouTube Channel, Tastefully Vikkie where I share healthy but delicious recipe tutorials every Friday at 6pm!